“Look for the Helpers” | Ooh, my favorite! 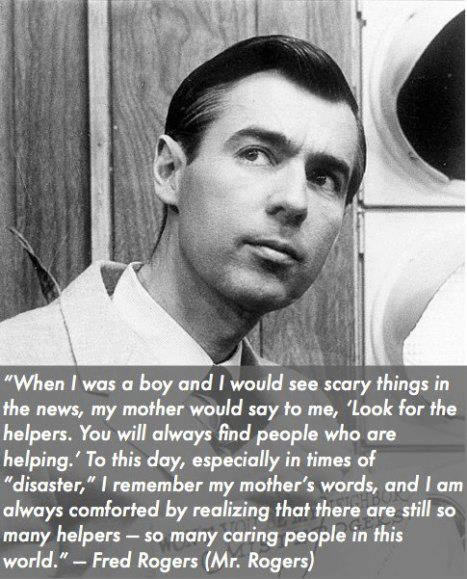 Wise words from Mr. Rogers and his mum. For all of the terrible things that happen around the world everyday, let us be thankful for the helpers.